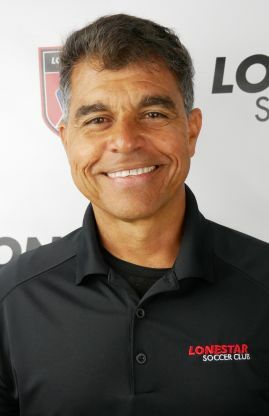 A lifelong commitment and dedication to be the best goalkeeper when I play with my team at “COTA”, and the best Goalkeeper coach when I teach players the art of goalkeeping at Lonestar SC. I coach 365/24/7 in the year, and when I have some time away from goal; I paint, draw, sketch, write poems, and try to stay game-coach-fit at my son's CROSSFIT gym. I enjoy sharing time with my son Juan Sebastian Parra, my niece Andrea Teresa, nephew Marco Antonio, great-nephew Connor Parra White, and my soccer, and non-soccer friends around the world. The Lonestar Goalkeeping Program, LS-Gk-P, believes in the formation and development of healthy and competitive young athletes throughout the art of goalkeeping. The LS-Gk-P believes that GKS are a very unique group of athletes that bring special physical and psychological characteristics required by the position, characteristics that are natural for some individuals, however, the LS-Gk-P believes that its training methodology and curriculum can develop goalkeepers regardless of individual differences. The LS-Gk-P believes that developing GKS is a lifelong learning process that involves a relentless dedication to physical, technical, tactical, and psychological preparation. “A Relentless Pursuit For The Perfect Save."